This afternoon was a good time to watch television. It was hot and rainy outside, which is not a great combination. Flipping through channels, I found Devil in a Blue Dress, a movie that I can always watch. I will not go through the story, but, as it pertains to this post, Don Cheadle shoots Tom Sizemore. When that movie was over, I went to the guide and found Heat, a great movie starring Al Pacino and Robert De Niro. 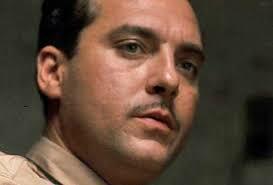 It also has Tom Sizemore, and I changed the channel in time to see him get shot. Therefore, this has been a Tom Sizemore day. I saw him get shot in two movies, and, coincidentally, both movies were released in 1995. Tom had a killer year. Figuring that all of this was fate, I decided to look for wisdom in the movies of Tom Sizemore. Fear causes hesitation, and hesitation will cause your worst fears to come true. Never chase buses or women. You’ll always be left behind. The right woman can make you, and the wrong woman can break you. I think the secret old Mr. Death is holding is that it’s better for some of us on the other side. Nothing counts so much as blood. The rest are just strangers. The media is like the weather, only it’s man-made weather. You can’t hide from your shadow. You step out of your door in the morning, and you are already in trouble. The only question is are you on top of that trouble or not? All you got is your friends. There’s nothing stronger than the heart of a volunteer. A brilliant man would find a way not to fight a war.